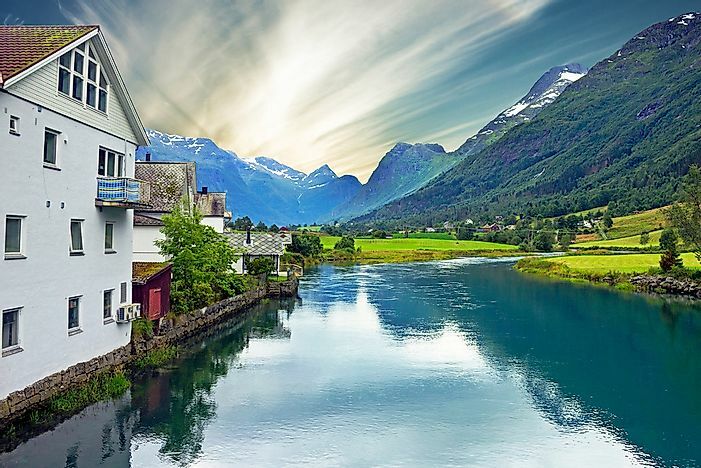 It is no wonder why Norway is considered one of the most beautiful countries on the planet. The Lofoten Islands of Norway. 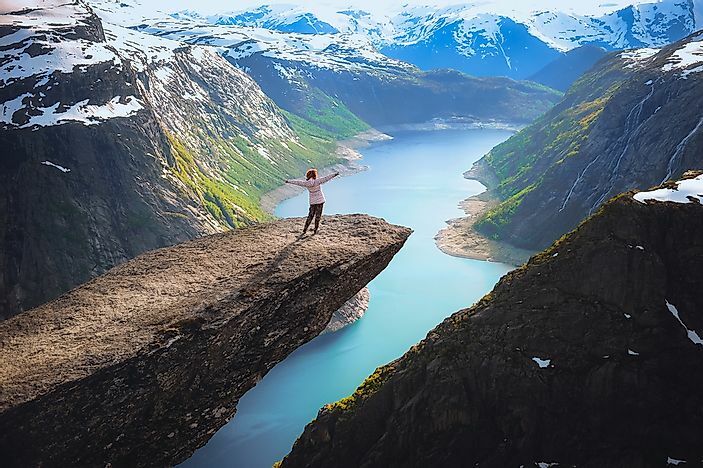 Trolltunga, also referred to as "Troll Tongue", is a piece of rock that protrudes in a horizontal direction out of a 2,300 feet mountain located at the northern part of Lake Ringedalsvatnet in Norway. This beautiful physical feature was formed during the ice age when the edges of a body of dense ice that had accumulated over years reached the cliff. The water from the dense ice, also referred to as glacier, seeped through the narrow cracks on the mountain and eventually froze. After some time, the cracks broke off into large rocks which were swept away resulting into the deepening of these cracks. The outcome was the beautiful Trolltunga. It is accessible between mid-June to mid-September as the climate is conducive during the summer seasons. The rural landscape of Olden. Olden is a town found within the municipality of Stryn in Sogn og Fjordane. The population in this town is small, with a population density of about 2,260 people per square miles. It is one of the major tourist destinations in Norway with the hiking destination of the Briksdalsbreen glacier. The hiking destination is found at the very edge of the Oldedalen Valley located 16 miles to the south of Olden. The hiking points are accessible through the cruise ship which forms part of the hiking experience. The waterfalls of Geiranger, Norway. Geiranger is a village found on the western part of Norway in the county of Møre og Romsdal. It is popular tourist village listed by UNESCO as a world heritage sites. 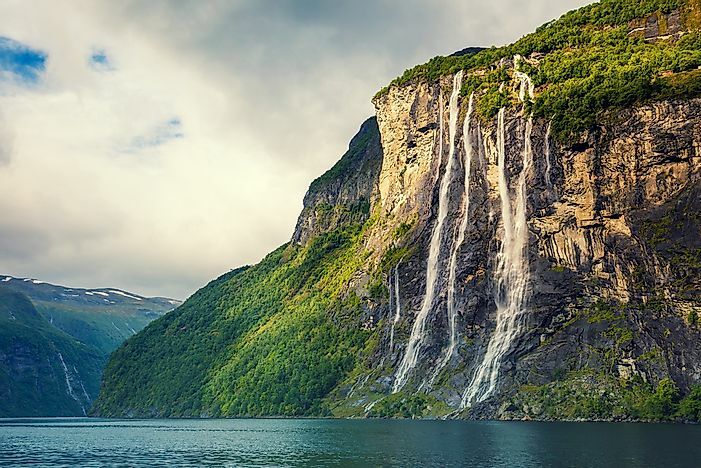 The Seven Sisters waterfall is found in the western part of Geiranger. 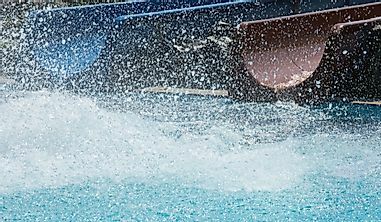 The waterfall offers a lovely scenery of seven streams running separately with the tallest free fall measuring about 820 feet. The tourism season is at its peak during summer. 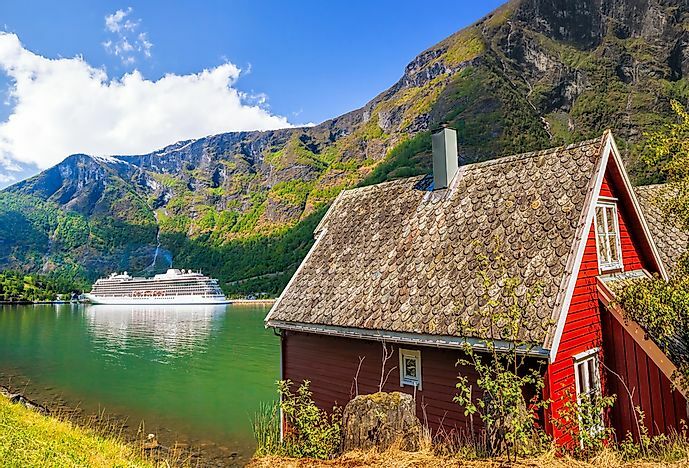 Flåm is a village in Norway found in the municipality of Aurland in Sogn og Fjordane County. The name in English means a plain flat piece of land. Just as the name describes, it is a flood plain found in River Flåm. The village is a tourist destination which receives approximately 450,000 tourists annually. The feature that draws tourist to this destination is a railway line connecting Flåm and Myrdal. The railway track is considered one of the steepest in the world. People coming to tour this area enjoy taking a ride along the Flåm Line which is about 20 miles long. The unique view of Ålesund, Norway. Ålesund is a town in Norway found in Møre og Romsdal County. It is spread over seven of the outer islands in the county with a backdrop of spectacular mountains. 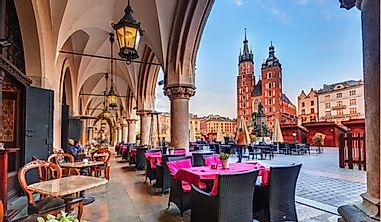 It is also known around the world for its unique art nouveau architecture. These building designs draw much attention to the town. An undersea tunnel which connects the town and the island has also been constructed making travel more convenient. This tunnel is called the Ellingsøy tunnel. The skyline of Oslo, Norway. Oslo is the capital city of Norway as well as its largest city by population. The city center is at the end of Oslofjord. 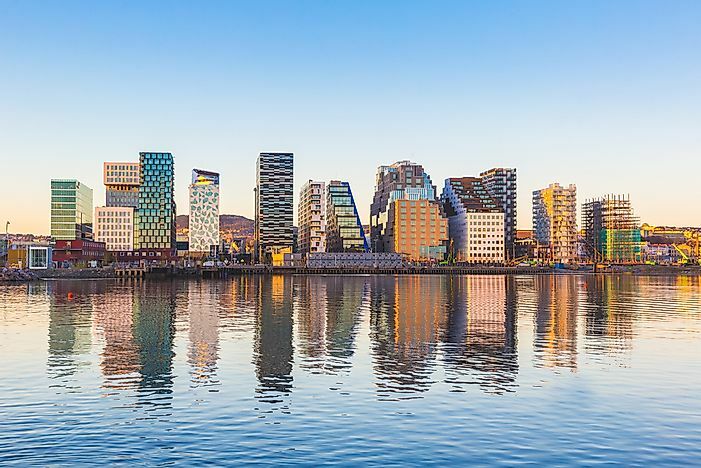 Viewing from this point, the city spreads out nicely in three distinct ways; inlands to the north east direction and southwards along the two sides of the fjord, giving it an appearance of an inverted letter “Y”. A wide spread forest is also found to the north and the east of the city making it to appear like an enormous amphitheater. These and other unique features found in Oslo draw much attention as they are beautiful to view especially when viewing from above the city. Lysefjorden, also known as Lysefjord, is located in southwestern Norway in an area known as called Ryfylke. It is a fjord, which is a physical feature that formed as a result of glacial erosion resulting in a long narrow inlet with steep sides. The steep sides are made of lightly colored rocks. 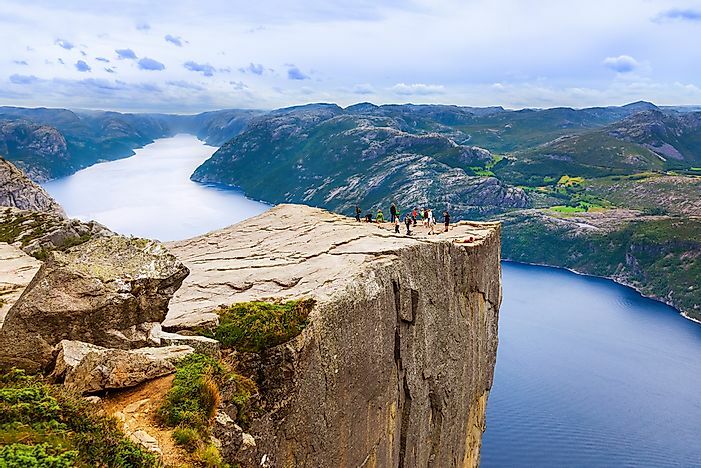 Lysefjorden is popular for the enormous Preikestolen cliff measuring about 1,982 feet overlooking the fjord. Tourists can enjoy traveling along the full length of the fjord. Tromsø is a city located in Troms County, Norway. 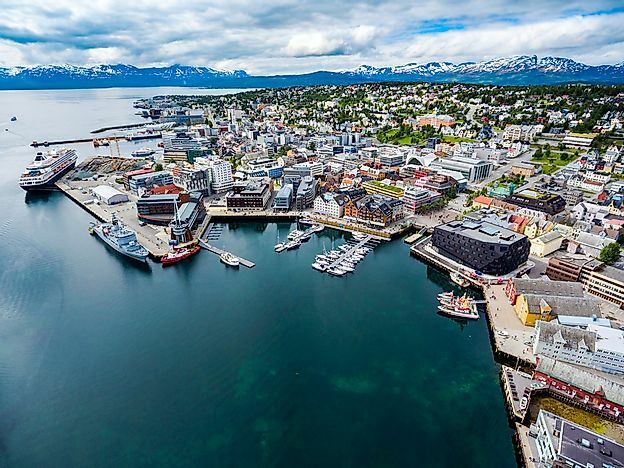 It is located in the northernmost part of the globe with a population of over 50,000 inhabitants. The compact city center has the largest concentration of historic wooden houses. 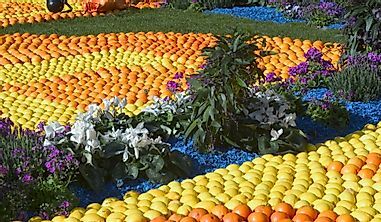 It is also a cultural center with several celebrations taking place during the summer season. Due to its location, Tromsø is popular for the viewing of the northern lights which is a natural phenomenon where a display of natural light in the sky is seen in the high latitude areas, usually when the sky is dark. Colorful houses of Bergen, Norway. 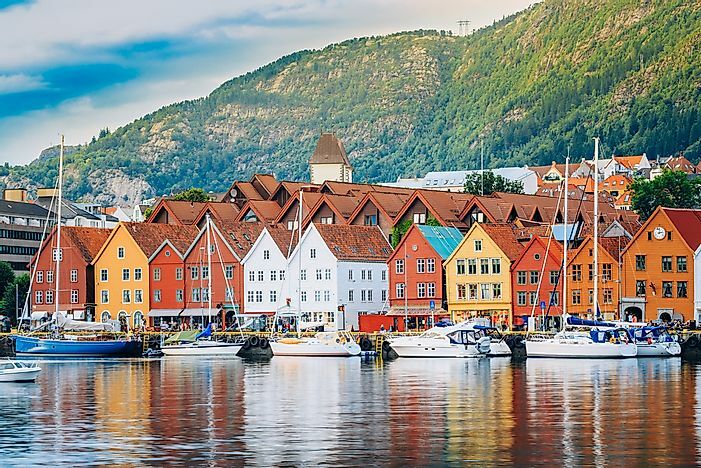 Bergen is a city and a municipality in Hordaland found in the west coast of Norway. 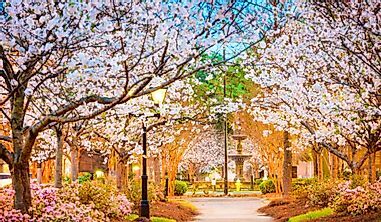 It is the country’s second largest city by area, covering about 180 square miles. 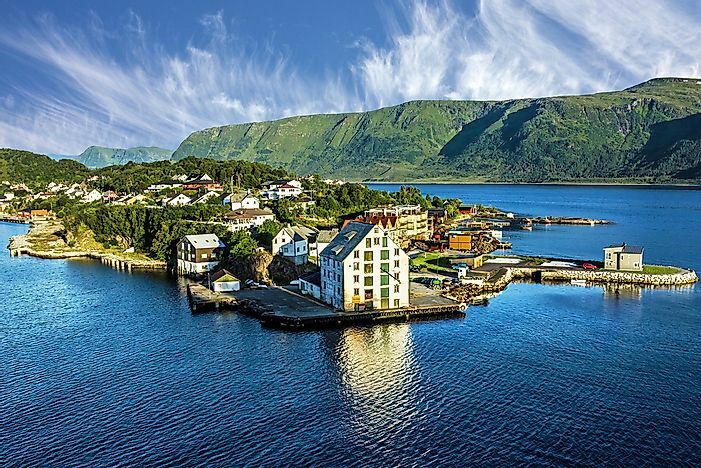 The city center is located on the Byfjorden, commonly referred to as the city fjord. 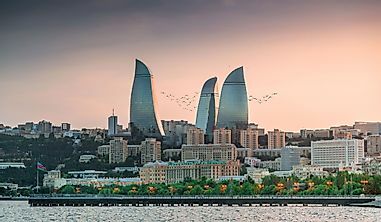 The seven mountains surrounding the city center form a unique physical feature and the city’s main attraction. 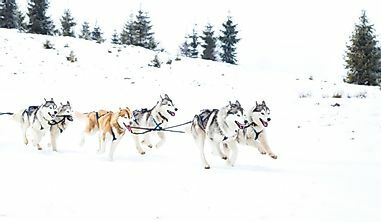 Bergen is popular for its mild winter climate brought about by the Gulf Stream that keeps the sea warm. The seven mountains surround the city are also responsible for the mild winter climate as they prevent the cold north-east wind from reaching the city. Lofoten Island is found in the Lofoten district, Nordland County, Norway. Lofoten experiences extreme temperature relative to its high latitude. 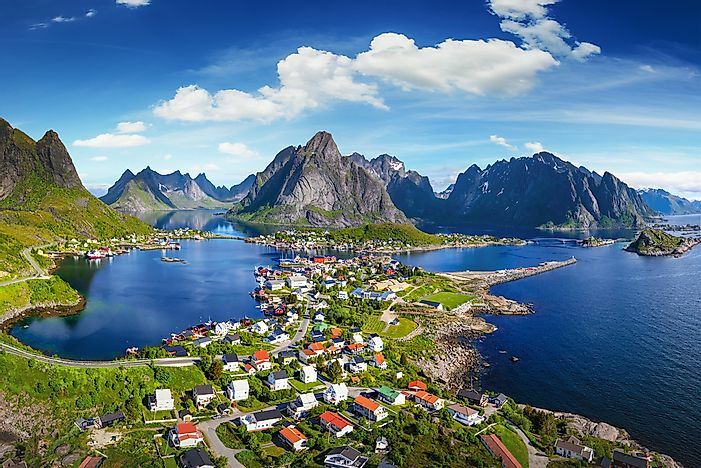 Lofoten Islands are made up of six principal islands which run from north to south. The islands spread over the waters of the Norwegian Sea and are the major contributors to the natural beauty of Norway. Fishing is a major activity that takes place in this area, hence the name fishing village. 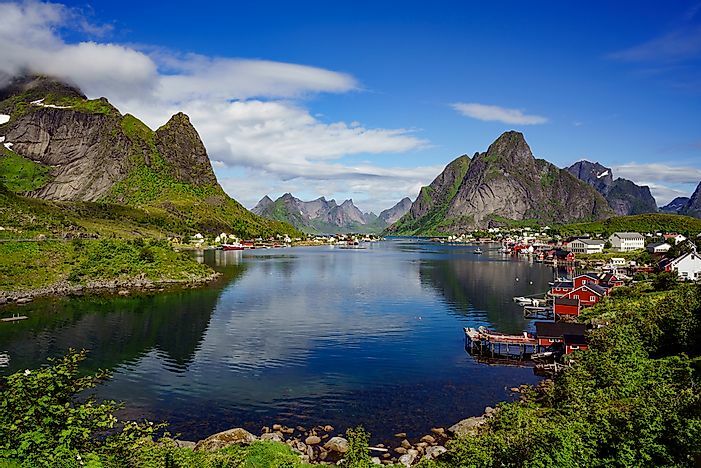 Lofoten is also popular for amazing sceneries of mountains, peaks, protected bays, untouched lands, and beaches which are all part of the eye-catching landscape that attracts visitors.